AP reports: “The presidential recount in Michigan expands Tuesday to its largest county, which includes Detroit, and five other large counties, with the fate of a statewide recount push in Pennsylvania awaiting action in federal court. Richie is executive director of FairVote. He just wrote the piece “Hacking America’s Antiquated Elections” for Cato Unbound. He said today: “FairVote’s review of all statewide recounts since 2000 shows that this year’s presidential election recounts won’t change the outcome, absent discovery of election theft involving organized voter fraud. “But increased scrutiny to the results highlights a huge problem we easily could fix by state law: recounting the ballots still won’t allow us to know how backers of Jill Stein, Gary Johnson and other candidates would have voted if able to indicate their backup preference between Hillary Clinton and Donald Trump. Communications director for FairVote, Whittaker said today: “It is highly unlikely that the recounts will change the outcome of the 2016 presidential election. FairVote’s analysis of the 27 election recounts from 2000-2015 shows that the shift in margin is less than 0.02 percent. However, state recounts offer an important reminder that there must be trust and integrity in our elections systems from beginning to end. “All three states targeted for recounts were won by a mere plurality. We saw similar plurality wins in the primaries and in many statewide elections. When a majority of voters cast ballots for someone other than the winner, democracy is failing all of us. 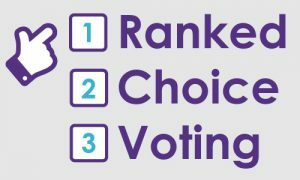 We need innovative reforms like ranked choice voting which gives every voter a stronger voice to elect leaders that represent the will of the people.